Learning all about what is caribbean food? During my day to day life I am asked by people from different walks of life, what is Caribbean food?. An array of thoughts surface to the forefront of my mind; Patties (Jamaica), Doubles/Roti (Trinidad and Tobago) Flying Fish (Barbados). The Caribbean is a region with a unique and vibrant culture (yes I’m biased). Its origins of music include Ska, Dancehall and Reggae from Jamaica, Soca and Calypso from Trinidad and Tobago and also the birthplace of Salsa, which was formed in Cuba. Anyway, back on topic to the basics of what is Caribbean food. The Caribbean cultivates an exotic range of fruit and vegetables, some of which are exported to western countries. Since the Caribbean comprises of many islands, each island has its own distinctive cuisine and national dish. Traditionally each island has its own soup on Saturday, known as “Saturday soup”. Sunday is a day for meat (mutton, chicken etc..) served with rice and peas (or peas and rice). Rice or an assortment of root vegetables are served with many meals and currying/jerk meat is another popular cooking method. Roti (a flatbread) is also eaten with meat and/or potatoes, more common amongst the lesser Antilles. Porridge (infused with spices) is sometimes drunk by islanders, as a way to commence the day. The primary foundation of Caribbean food derives from the original inhabitants. The Amerindians (Arawak, Taino and Carib people) lived on the islands prior to Christopher Coloumbus’ failed voyage. West Africans were also brought to the islands during the transatlantic slave trade, they too played a significant role. Other ethnic groups such as the Arabs, East Indian and Chinese, also arrived as labourers. European nationalities; British, French, Spanish and Dutch, who colonised various islands have also inspired culinary dishes. There are certain ingredients which are crucial to island people; rice, peas (i.e kidney beans), fish (various types), orka, coconut, plantain, cassava, sweet potato and not forgetting herbs and spices like thyme, curry, cilantro, scotch bonnet, allspice (pimento), mace, cinnamon, nutmeg of course this doesn’t cover everything, simply staples. 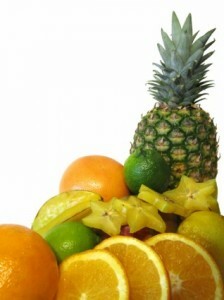 Nowadays, it’s certainly not uncommon to find people incorporating tropical produce into their diet. One example of this contemporary trend is the paleo diet, which dietary principle consists of ingesting vegetables, fruit, meat, seafood and nuts (circa cave man food). In spite of each island priding itself in their own cultural cuisine, I am going to share with you and list the commonly eaten fruits and vegetables which can be found in this corner of the globe. Cassava also known as Yuca, manioc, casabe or mandioca is an oblong, woody starchy vegetable which originates from South America, its thick brown colour flesh covers the chalk white interior. This nutritional dense root crop is high in carbohydrates and low in protein, making it an excellent source of energy. Furthermore, the crop is a major source in; calcium, phosphorus and vitamin C.
Cassava was the staple food for the indigenous people (Caribs, Taino and Arawak) and as a consequence is a staple in the Caribbean diet. When dried the extract is converted to tapioca flour/powder, which serves as a thickening agent. In more recent years, cassava has met the approval of specific dietary requirements, such as the paleo diet. This edible vegetable can be cooked using an array of methods, served in sweet and savoury dishes. There are many misconceptions about the plantain, so let me be of assistance. Plantain is a large, long, starchy fruit which is considered a vegetable. It bears a slight resemblance to banana, only this crop is inedible when raw. The skin of a plantain is thick, green and as the peel ripens, it turns yellow/almost black in colour. The pale yellow interior yields a sweet flavour as the crop begins to mature. Throughout the Caribbean this high fibre, energy boosting crop is cooked in a variety of ways – boiled, fried or baked. 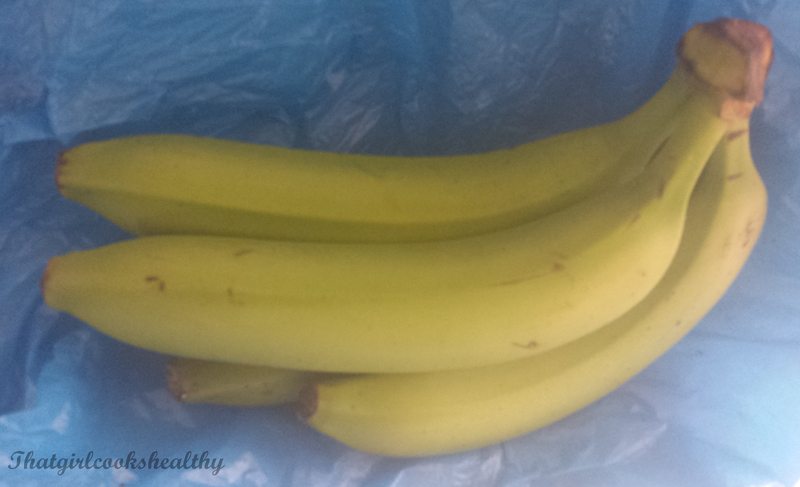 Plantain is an excellent source of potassium, vitamin A and C and it highly praise by paleo dieters. 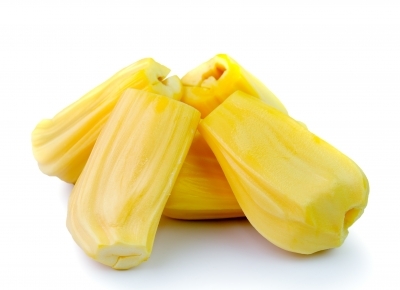 Jackfruit is huge, oblong prickly fruit when unripe its exterior reflects a green hue. Once mature, the colour changes to a darker green mixed with a shade of brown. The inside of the fruit consists of the pulp, covering the seeds. Both components are edible; the pulp is a thick meaty texture, making it an ideal vegan/vegetarian meat substitute. In terms of health benefits, this starchy fruit contains an plethora of vitamins and minerals, noted for being high in potassium, B6 and vitamin C. The seeds (protein enriched) can be sun dried, roasted and consumed as a snack. 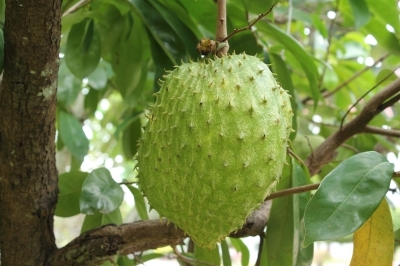 a number of things; smoothies, fruit juice, ice-cream, candy etc..Researchers have dubbed soursop as the miracle plant due to its anti-carcinogenic (counteracts the effects of cancer) properties. It also helps to reduce inflammation and stabilises hypertension. Soursop has concentrated levels of vitamin C, several types of vitamins, calcium and phosphorus. 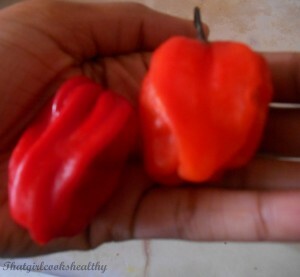 Scotch bonnet aka Caribbean red peppers are small exceptionally hot peppers which are featured in Caribbean cuisine. compliments hot pepper sauce, another condiment which is used heavily amongst islanders. Since the heat stems from the membrane and seeds, this can be controlled by cutting it out and using only a small fraction of the fruit to yield flavour. 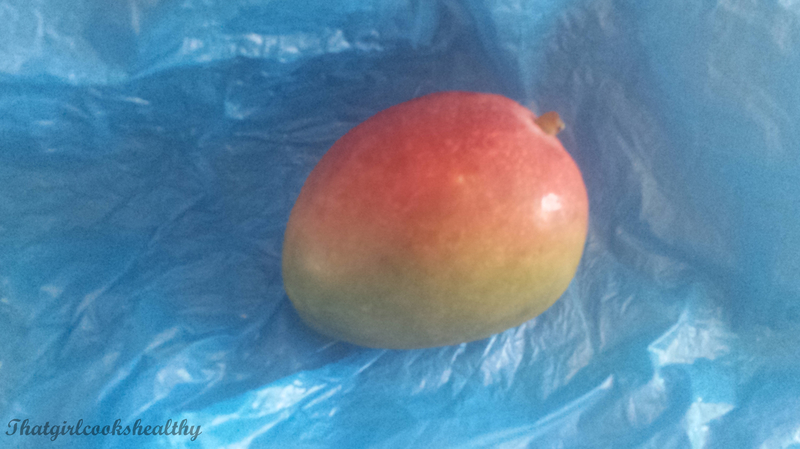 Mango is an oval shaped fruit which grows in warmer, tropical climates. 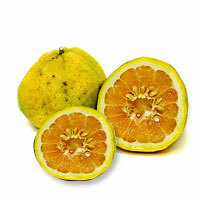 The fruit has a flat, large stone in the middle which is surrounded by the soft, yellow pulp contents. The outer skin when unripe tends to be green and transitions in colour once ripe to a more yellowish, orange with red under tones. This fruit is eaten as a snack, or used in chutney, drinks and main dishes. Mango is noted for its high rich nutritional value in vitamin A, Beta Carotene, B6 and vitamin C.
Green banana also known as fig (depending on the island) looks strikingly similar to a yellow banana. The difference being that green banana is very starchy, firm and used in savoury dishes (fried, boiled etc..). The starch from “savoury bananas” is known as resistant starch (RS), this is not quite the same as regular starch. to break down food). In spite of this, resistant starch is excellent for fat burning, it cancels out the carbohydrate that would normally be used as fuel and the body instead relies on fat for fuel. Green banana has an excellent source of B vitamins, low in fat, high in fibre (promoting healthy bowel movement) and potassium – good for stablising the blood sugar levels for type 2 diabetics. There is a misconception amongst the Caribbean community in regards to iron levels in savoury bananas. While they do have small traces of iron, it’s certainly not a remedy for low levels of iron/anemia, as many people are under this impression. 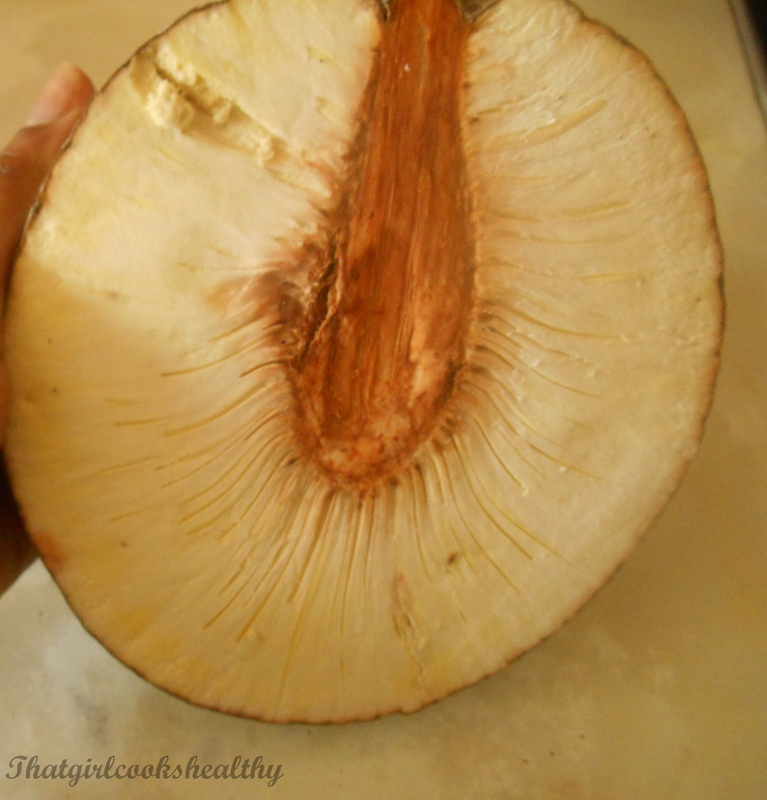 Breadfruit is a tropical crop which bears its name from the texture and flavour, reminiscent of freshly baked bread. This large oval shaped produce is another Caribbean dietary staple, enriched in starch, high in fibre, vitamin B6,vitamin c, folic acid, calcium, potassium and magnesium. 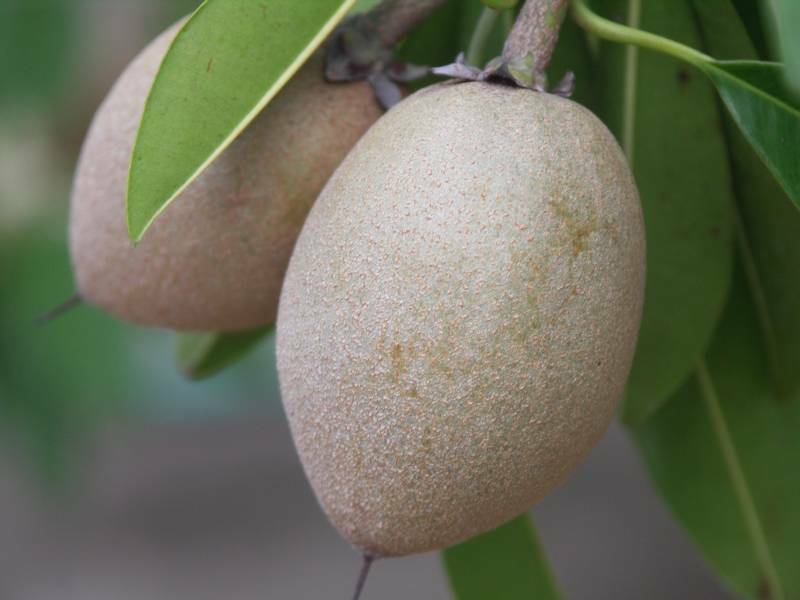 The external appearance is a green rough texture, as the fruit ripens the colour of the skin changes to yellowish, light green with black patches. Inside the crop you’ll find a slightly sweet creamy (yellow or white) flesh. Breadfruit is used in both sweet and savoury meals – boiled, fried, roasted or baked. It not uncommon to see a breadfruit being roasted, whole on a open fire on the islands. but breakable with fingers, most people tend to access the content, using their hands. 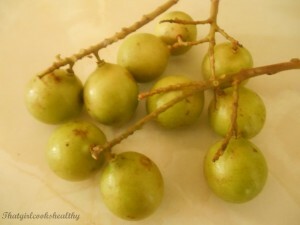 Guineps are small and circular with a large stone, the meat of the fruit, hold a sweet delicate flavour. A low in carbohydrate, high fibre fruit with several vitamin and mineral properties. By the way, did I mention how much I love Guinep and how they make the most ideal snack. Dasheen, known as taro or eddoe is a short, stubby, bulb type root vegetable. 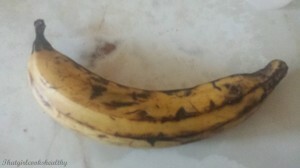 The peel of the crop is brown, rough course texture, which is normally removed prior to cooking its creamy white flesh. Dasheen has a good source of potassium, vitamin B6, magnesium, calcium and iron. 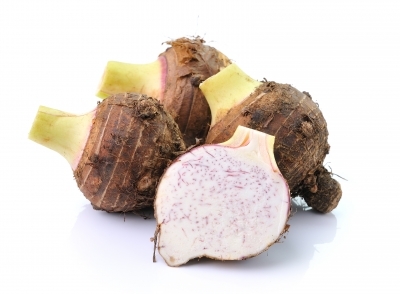 Again, Dasheen is a starch-root vegetable, making it an excellent choice for energy endurance. 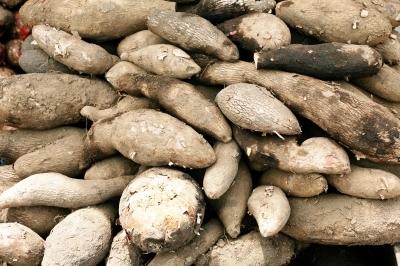 yam varies, from yellow or white depending on the type of crop. I personally prefer the yellow yam, as it yields a sweet aromatic flavour. The white yam, in contrast can sometimes give a slightly bitter taste. 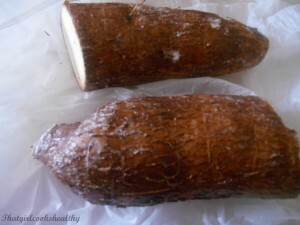 Unlike cassava, yam is not toxic in its raw form, but it is not fit for human consumption when uncooked either. This staple produce can be fried, mashed, boiled or baked. Nutritional value – high in potassium, fibre, vitamin B and C and magnesium. Currently dubbed as a super food is a diverse tropical fruit, with a green appearance and a pink, juicy, soft flesh with small edible seeds. 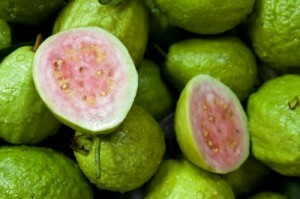 Researchers believe that guava contains the highest amount of antioxidants, which keep cells healthy and cancer free. Antioxidants can also reduce the risk against generative and cardiovascular disease. This antioxidants power house is low in carbohydrates, a enormous amount of vitamin C, fibrous, Vitamin A, B6, magnesium and potassium. Guava can be eaten as a snack, made into a delicious smoothie, marinade or jam. akin to spinach, easily being used as a substitute, but I disagree. In my opinion, I believe that kale is the next best thing to an identical replica. 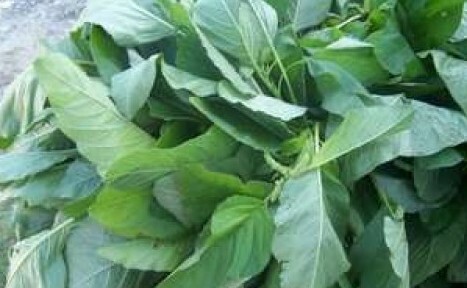 In terms of cooking, Callaloo is usually stemmed and accompanied by an array of fish meals. 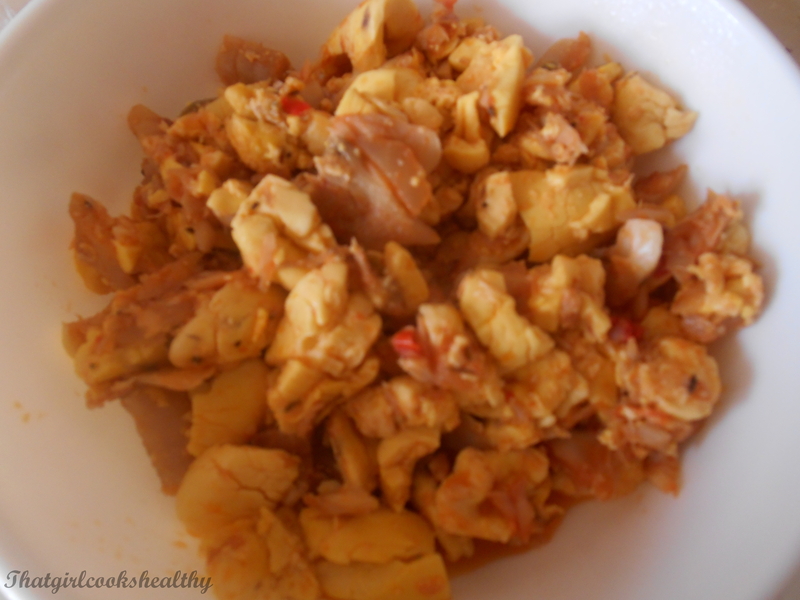 Its nutritional value reveals a variety of vitamins and minerals including fibre, iron calcium, vitamin A, B, C and K.
Ackee and Saltfish. Interestingly, this pear shaped fruit has been found growing in Cuba, Haiti and Barbados. The fruit splits into three ways whilst it is still growing, revealing large black pods attached to the aril and reddish to yellow-orange colour when ripe. The unripe and in consumable part of the fruit is highly toxic, be sure to prepare with caution. Eating the crop in its premature stages can lead to hypoglycemia and onset vomiting. Ackee is fat-free, a subtle amount of protein and carbohydrate, vitamin B, C, phosphorus, magnesium, potassium and iron. soft, grainy type pulp when ripe and black inedible seeds. Once ripened the fruit is exceedingly sweet, with a flavour almost akin to malt. The premature fruit is hard, contains a chemical called saponin, a type of astringent which causes drying to the mouth. Naseberry is high in fibre, vitamin C, vitamin B properties and Iron. A hybrid derived from tangerine, grapefruit and an orange. Its name is taken from the unpleasant, wrinkly greenish-yellow rind. is pulp orange, typically formed into segments like an orange. Once ripe the flesh bears a shade of light green, and relatively sweeter than its citrus fruit counterparts (orange, tangerine, grapefruit). Ugli is credited for being high in fibre and vitamin c.
Cho Cho is pear shaped with thin, wrinkly type green flesh. The meat of the Cho Cho is a soft, pale green transparent texture which is usually stem or boiled. 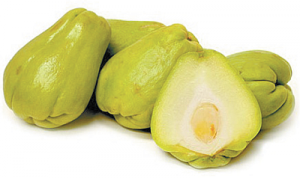 In terms of its nutritional value Cho Cho is a good source of vitamin C, fiber, vitamin B6 and magnesium. Coconut is a drupe (a fruit with a hard stone covering) the commercial produce found in stores, looks different than what is seen growing on the coconut palm, because the hard layer is discarded. Coconut has three layers; a tough covering (found on the palm). A thick, brown shabby shell which protects the water and the white fleshy meat. The water inside the crop is suitable to drink and the meat can be grated and used in sweet or savoury dishes. Coconut is one of the top features in Caribbean cuisines (rice and peas). The fruit has an abundance of nutritional properties; phosphorus, copper, magnesium, iron, potassium, zinc and is a recommended dairy free replacement. There is a lot of controversy surrounding coconut due to its saturated fats. 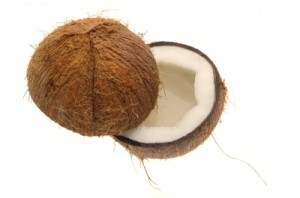 Keep in mind that the saturated fats in coconut are not the same as what is found in animals. Coconut contains fatty acid known as lauric acid – a medium chain fatty acid, which promotes our healthy cholesterol fats – High Density Lipoprotein (HDL). HDL helps works in accordance to our cardiovascular system, elimination inflammation and reduces the risk of blocked coronary arteries, which lead to blocked blood vessels, caused by plaque build up (atherosclerosis). 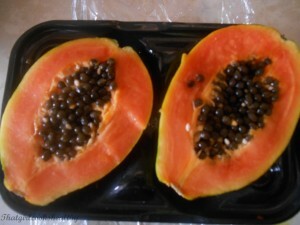 Papaya or paw paw is pear shaped fruit with an amber, orange flesh and a collective amount of black seeds in the centre. Once the fruit is ripe it is yellow on the inside, soft and tender to the touch. Papaya is often eaten as a snack, but can be made into a smoothie, fruit juice, or introduced to a salad. Papaya contains a satisfactory amount of vitamin A, C, fibre, potassium, magnesium and calcium. The above are just a few commonly known Caribbean fruit and vegetables. I’d love to hear from you all, what is your favourite exotic fruit and why?